IES 2019 Paper – I Answer Key – Available Here! “Where to find IES 2018 Question Paper ? 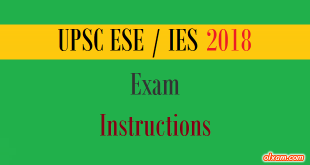 IES 2018 Paper Answer Key & Solution (All Sets) – (Pre & Main) – Union Public Service Commission (UPSC), New Delhi conducting Indian Engineering Services(IES)/Engineering Services Examination(ESE) on 07 January, 2018 & 01 July, 2018. This exam completed in two days. One day for two objective type papers & Second day for two subjective type papers. There would be four sets of papers A,B,C and D for objective type papers while only one set for subjective type papers. Objective type papers time duration is two hours while subjective type papers time duration is 3 hours. Maximum marks for written exam in UPSC IES/ESE is 1100 and 200 marks for Interview. 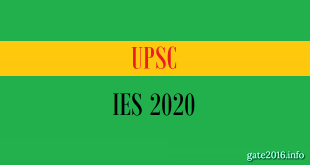 Union Public Service Commission (UPSC), New Delhi will release answer key of IES/ESE 2018 but it will take some time nearly 6 months from the date of conducting IES 2018 exam. Although some private coaching institutes will provide answer key and paper solutions just after finishing the exam. However you may visit UPSC official website for other information like important exam dates, answer key and result etc. Official answer key provided by UPSC for all sets A,B,C & D will also be update here whenever it will upload by UPSC on their official website. You may use below provided answer keys to calculate your marks. 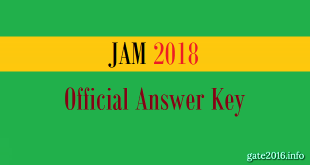 There may be some error in these answer keys or may be these keys don’t completely match with the key provided by UPSC in later time so here you will be able to calculate only approximately marks of yours. # If you find any dead link please notify us as soon as possible. We will repair it. 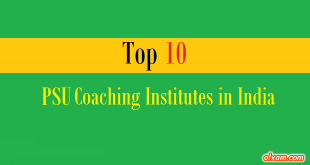 * If there is any reputed coaching institute which provide answer key for UPSC IES/ESE 2018 exam and not listed in the above table you may notify us we will update this table for that coaching institute. 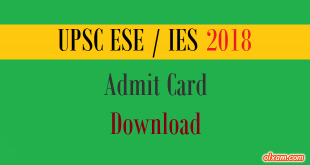 Those IES aspirants who are going to attend IES 2019 exam and also aspirants who did’t attend IES 2018 exam due to any reason may download UPSC IES 2018 all papers from here. 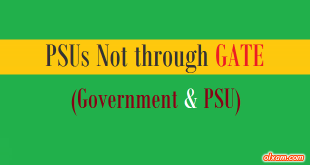 Here we are requesting all visitors please provide us a copy of your conventional question paper(s).